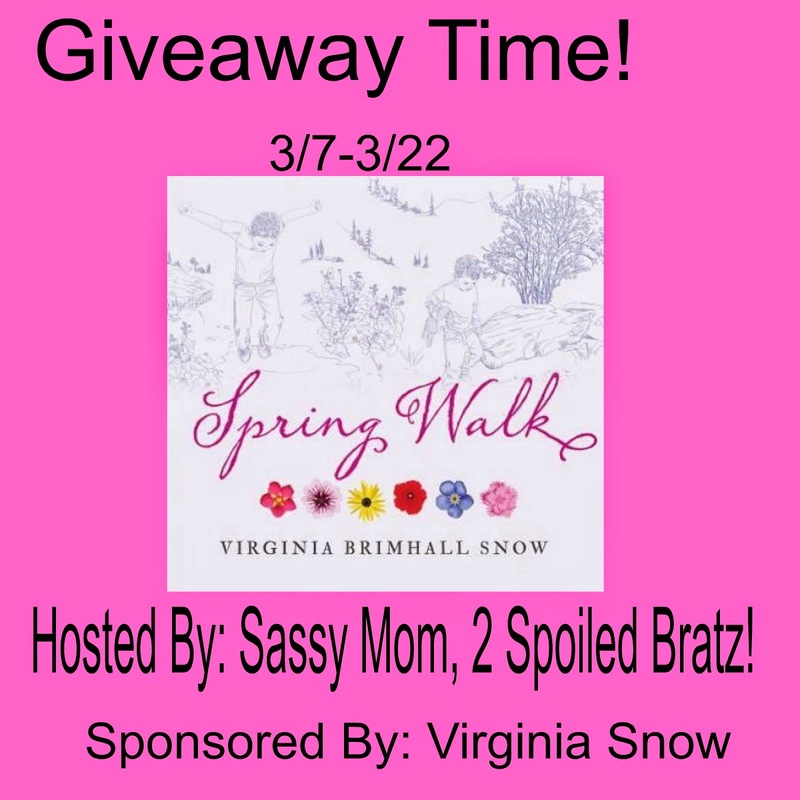 Sassy Mom, 2 Spoiled Bratz and Virginia Snow teamed up to bring you a giveaway for her awesome new book Spring Walk! The bloggers promoting and hosting this giveaway is not responsible for prize fulfillment. Virginia Snow will be in charge of that. I personally love lilies, stargazer lilies to be exact. I also like irises. My favorite flower is a lilac. My grandma had a huge lilac bush in her front yard, and just smelling them reminds me of her.